Stephen King was one of my favourite authors when I was younger. I recently found his book of short stories Just After Sunset and was reminded why. In the introduction he describes his early career, when he was teaching English and working in an industrial laundry at nights. He was earning just enough to support his habits of buying books, beer and cigarettes (in that order). Stephen was also writing short stories for magazines and says he wrote them fast and hard in the laundry room on his wife’s little Olivetti portable. There was no time to think about structure or character development so he was just ‘flying by the seat of his pants’. The interesting thing for me was that he goes on to say how, even for him, short story writing is a ‘fragile craft’ easily forgotten if not used constantly. 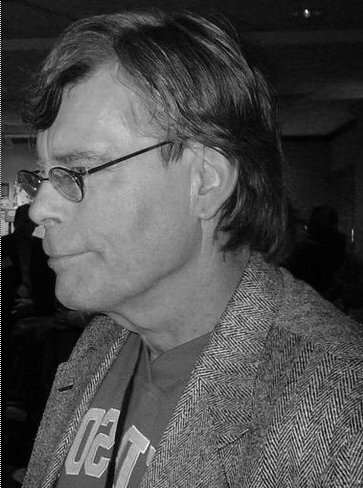 In his book On Writing: A Memoir of the Craft Stephen King suggests working to a rigorous writing schedule and explains that he writes ten pages a day, six days a week, even on holidays. That is about a thousand words a day – half my target but when I think about it my average output is probably less once I take into account the days when I don’t write anything. King also stresses the importance of reading other people’s work and says ‘If you want to write, you must read a lot and write a lot.’ It may seem obvious but are you reading as much as you used to? As well as introducing you to new styles and plot structures, regular reading helps you to develop what he calls an ‘intimacy with the process of writing’. If you read a lot and often it will help you to understand what works - and what doesn’t. I always thought of myself as a voracious reader and would routinely get through my limit five library books every two weeks. I would also get through various paperbacks and of course my own collection of books, which I would re-read often. Looking back I realised that television and my lifestyle changed all this without me realising it. I remembered a quote from Joanna Penn that “TV was banished from our house and since then I have written four books.” I’m not sure I am ready for such a big step but I took the television out of the bedroom and immediately found that I am reading more again – Stephen King would definitely approve. Tony Eldridge (@tonyeldridge) is a published author and a low cost / no cost book marketing expert with loads of good tips and advice on his blog at http://blog.marketingtipsforauthors.com/ as well as free book marketing videos to help you better market your books using Blogger and Wordpress. Tony has a great relaxed style as he takes you through it step by step - and you can subscribe for email alerts as new videos become available. Dorothy Thompson (@pumpupyourbook) takes a very different approach on http://www.pumpupyourbook.com Pump Up Your Book is a PR company who will give your book the best online distribution possible with every conceivable way of promoting a book including author interviews, giveaways, excerpts and trailers. 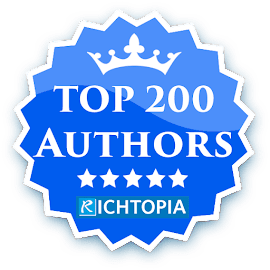 Dorothy aims to concentrate on the millions of people who buy books online every day and has developed a range of meets for authors looking for optimum online presence. I am grateful to Kathleen Callista (@callista83) for a tweet about working with book bloggers on The Book Publicity Blog http://bit.ly/f8kbcC which has some useful suggestions for book bloggers that will of course be of interest to any book publicists and authors. Finally, no look at book marketing would be complete without mentioning the irrepressible Emlyn Chand (@emlynchand) for all her hard work launching http://www.novelpublicity.com (@novelpublicity) where you can get advice on DIY PR and services including custom book trailers, blog tours and use of social media. 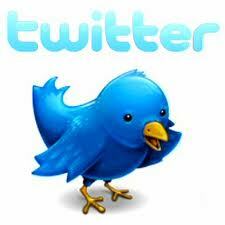 The 140 character limit of twitter is well suited to quotes - and there are plenty around to interest writers. Some people seem quite happy tweeting little else, but for me the best are the rare little gems that people like so much they want to share them. Every now and then you come across one that stands out from all the other tweets and makes you think, or smile, or wonder about life. 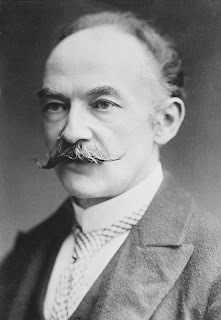 Thomas Hardy was born in 1840 in the tiny hamlet of Higher Bockhampton, Dorset. His father was a bricklayer and it was his mother who was well educated and encouraged his interest in literature. 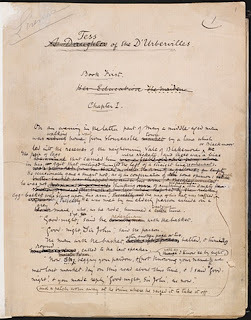 One of my favourite novels of all time is Tess of the d'Urbervilles, which Hardy wrote when he was about the same age as I am now, so as a new novelist I am very interested in how he wrote. Each morning at about nine Hardy would have a cup of tea and a breakfast of bacon with brown sugar sprinkled over it. Then he would read The Times newspaper and go for a short walk. At almost exactly ten in the morning he would sit at the simple desk in his study and write. His study was at the back of the house and rarely cleaned, as he would not let his cleaner touch his papers. He used a dipping pen with an inkwell and had on his desk a calendar that was always showing Monday 7 March – the date he met his first wife Emma, who died in 1912. He would continue to work through the day and was quoted as saying his best work was done before he had his dinner. Thomas Hardy always wore an old pair of trousers when he wrote, that eventually became so worn that he repaired them with string. In the colder weather he wore an old shawl over his shoulders. His study had a coal fire for heating but was usually warm as it was over the kitchen - but his cottage never had gas or electricity or even a telephone to distract him. In the same way that artists make sketches, capturing details of light and colour for future reference, Hardy’s surviving notebooks show he recorded in great detail the things he saw around him, the sound and sensations of a thunderstorm, the colours of a Dorset sunset. 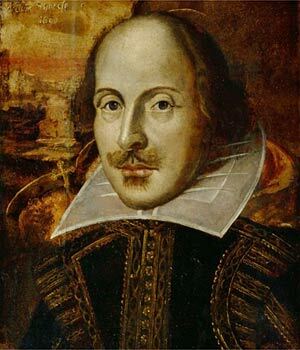 He has always wanted to be a poet and his notes suggesst this influenced his observation of the world. He also wrote about particular details of his life. For example, he wrote several pages of notes on the mail coach guard from London to Dorchester, including as much detail as he could about the man’s uniform and his life. As he developed as a writer, Hardy would send each section of writing he completed to his editor, Leslie Stephen, for comment and review. Stephen was the editor of the influential Victorian Cornhill literary magazine and extremely well connected in the Victorian literary world. He did however encourage Hardy to spend less time describing Dorset life and encouraged him to get to the action more quickly! In 1867 Hardy’s first novel The Poor Man and the Lady, was rejected by publishers and he was so discouraged he went back to working as an architect. 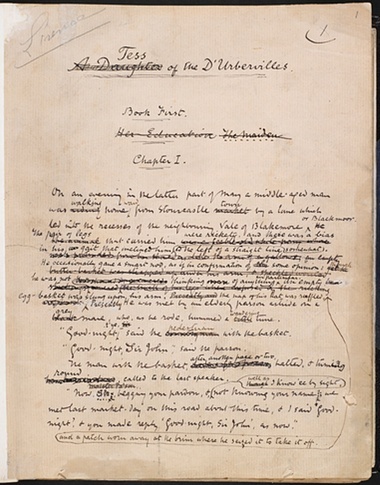 His first attempt at a novel was harshly described as a ‘story with no plot' so he re-wrote it as Desperate Remedies, which was in turn criticised for being all plot - a ‘series of accidents, coincidences and improbabilities’. Desperate Remedies was published, but the publisher William Tinsley demanded Hardy pay £75 (a small fortune at the time) to be repaid out of any profits. Hardy lost his money as his subjects were considered too controversial for Victorian sensitivities. Tess was commissioned in 1889 by Tillotson’s Fiction Bureau who then rejected it, describing the book as 'blasphemous and obscene'. Hardy did his best to interest other publishers but was rejected by them all. It wasn’t until Tess of the d’Urbervilles was serialised in the Graphic illustrated magazine that he finally saw success. Even then, the editor of the Graphic, Arthur Locker, demanded that the seduction of Tess and other scenes considered unsuitable for his readers were removed. This is the briefest account of how Thomas Hardy worked but there are clear lessons that remain very true today about persevering in the face of rejection. Time to put on my writing trousers! Inspiration is a very personal thing - and for me it can change from one day to the next depending on my mood and how well the writing is flowing. I enjoy the random links to blogs you can only really get from twitter, as you never know what you are going to discover. Denver based author Cynthia Morris (@originalimpulse) coaches people who want to write and create and says her aim is to help women make their dreams of writing into a reality. 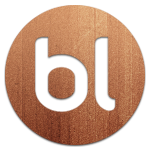 She does also help men though and says writing is her lifelong passion – have a look at her Original Impulse blog. Florida based Terri Tiffany (@territiffany1) is on her fifth novel and is happy to be called an inspirational writer. I enjoy her Terri Treasures blog and really like her honesty about writing and giving advice. It was Brisbane based Joanna Penn (@thecreativepenn) who started me off with blogging, as I had never thought of it before last month and now I have four on the go. If you haven’t already seen it make the time to have a look at her blog The Creative Penn. ﻿This novel writing is very hard stuff. Trying to learn craft while balancing plot, ideas, genre, and market. How anyone finishes a novel amazes me. Sometimes it feels like I’m golfing and juggling . . . at the same time. We all have our own ways not to write. You know what I mean – the conscious or unconscious things you do to avoid writing the damn book. Mine is the “I can’t write because I don’t know what happens next,” model. It even sounds legitimate, until the quandary stretches out two weeks, and I’m forced to face the fact that I’m avoiding. Too busy; life is too disorganized. I’ll get back to it when . . . fill in the blank. I have to do more research. I need to take more classes. When I know more, then I can write. I have so many ideas swimming around in my head that I can’t decide which one to write about. I start a story, but when I get to the middle, it peters out, and I move on to a new idea. I’ve completed the novel, but it’s not ready. Years of revision – it’s never ready. I’ve finished the story and edited it, but I never get around to sending it out. I’ve written the first six chapters, polished it, and entered every contest known to man. It’s even placed in contests. I just never finish the book. I have this wonderful idea. No really, no one has ever thought to do a book on this fascinating subject. Why don’t you write it, and we’ll both share in the riches we’ll get from it? I’m afraid the person (family member) I wrote about in a novel (and disguised) is going to recognize themselves. My family will implode. I don’t understand the character well enough. I need to do character studies, interviews, horoscopes on them to be able to write. And mine; how can I write on, when I don’t know what happens next? I may have missed a few, but you get the idea. Please, don’t misunderstand me. I’m not being critical. I am right there in the mix, and I believe every author, from Plato to Stephen King, has their own way of not writing the book. “Brick walls are there for a reason. The brick walls are not there to keep us out. The brick walls are there to show how badly we want something. Because the brick walls are there to stop the people who don’t want something badly enough. They are there to keep out the other people"
Those reasons are just roadblocks our brain throws up to cover up the fact that we’re scared. You can’t live with the thought that you’re too afraid of failure to reach for your dreams, so you use a perfectly legitimate excuse. I do it too. But you know what I’ve found? When I ignore the fact that I don’t know what comes next, and sit down and type, something comes out. Sometimes what comes out is better than I imagined. All the reasons above are perfectly legitimate. They’re all true. The question is: are you going to let them keep you from holding that published book in your hand, and opening it for the first time? From your dream of seeing someone in a coffee shop somewhere, reading your book? I’m not. I’m going now to write the next part, in spite of the fact that I don’t know what it is. Laura has been writing romance and women’s fiction for over ten years and is currently editing her third novel. 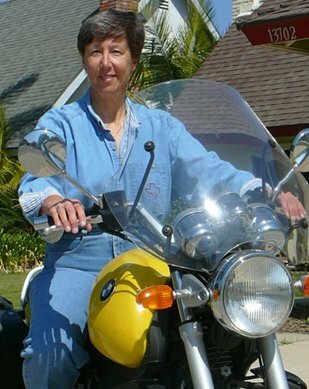 Based in Southern California, Laura is a corporate CFO during the day and a wife, grandmother, writer - and biker chick in the remaining waking hours! This week I’ve been looking at the world of travel writing. There is definitely something different about visiting somewhere or going on a journey when you know you are going to be writing about it afterwards. It must also be true that travel can broaden your mind as a writer. I know growing up in Africa has given me a very different perspective from people I know who have lived all their lives in Wales. Nellie Huang (@WildJunket) is a freelance travel writer and adventure-seeker who describes herself as a ‘modern day nomad.” Nellie’s blog Wild Junket has the subtitle ‘A rollercoaster ride of wild adventures around the world’ and is a great place to start if you want to see some great travel writing. Nellie has also brought together one of the best pages of travel links you will find anywhere - definitely worth exploring! Finally I'd like to introduce one of the nicest, most modest people I have met on twitter, Honk Kong based Connie Hum (@conniehum). Traveling with only my wits, backpack, ukulele and TEFL (Teaching English as a Foreign Language) certification, I will engage in a variety of environmental and humanitarian projects and through Connvoyage, share with you the places I will see and live, the things I will discover and learn, the people I will encounter and befriend. I want you to experience it with me! On this amazing voyage, I invite you, friends and family, avid travelers, adventure seekers, and other sufferers of wanderlust to be my CONNvoy around the world, to lend me support, offer me guidance and join me in whatever capacity you can as I navigate through the wonders of this beautiful place called Earth. 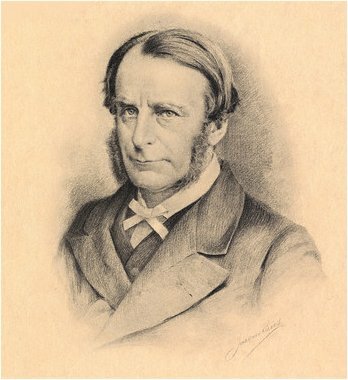 The Reverend Charles Kingsley was a Victorian author and friend of John Ruskin and Charles Dickens. He is best known for being one of the first prominent Victorians to publicly recognise the importance of Origin of the Species, having been sent an advance copy for review by Charles Darwin. Kingsley was a prolific poet and author but for me it was his moral tale The Water Babies that leaves a lasting memory. It was one of the first allegorical works I read as a child, full of Victorian values (and prejudices) and profound ideas, like that no one can say that something they have never seen, such as a human soul - or a water baby – can not exist. 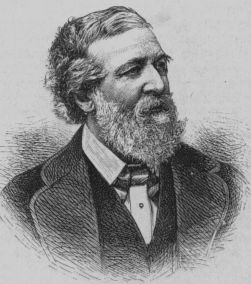 A founder of Christian Socialism, Kingsley used The Water Babies to successfully draw public attention to the scandal of child labour. Charles Kinsley lived in the North Devon coastal village of Clovelly, where his father was the curate. We arrived by sea, and found the tiny fourteenth century harbour was too small for our yacht so we anchored in the bay and rowed ashore, as most visitors would have done in the past. The main street in Clovelly is a steep cobbled path which is famous for the donkeys which haul everything up the hill on special wooden sledges. We found Charles Kingsley’s house about half way up the hill. As with most of the houses in Clovelly, it was very small but well preserved. Tourism has been important to Closely since Victorian times but it remains largely uncommercialised and the interpretation of Kinsgley’s house is quaintly well intended. There is a small museum, with an odd animated display of Charles Kingsley working in his study and a loud recital of his famous poem ‘The Three Fishers’ running in the background. Despite this it was easy to visualise Kingsley at his desk writing Westward Ho! in 1855 and sending long letters to his influential friends campaigning on behalf of the poor. "Suddenly a hot gleam of sunlight fell upon the white cottages, with their grey steaming roofs and little scraps of garden courtyard, and lighting up the wings of the gorgeous butterflies which fluttered from the woodland down to the garden."